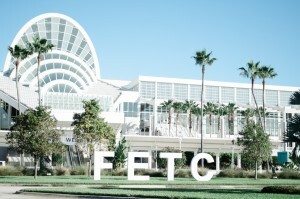 The National Future of Education Technology Conference (FETC), a premier ed tech event, today announced details of the Information Technology track to be presented at the 37th annual FETC event, taking place January 24 – 27, 2017 at the Orange County Convention Center in Orlando, Fla. Through hands-on workshops and informative sessions led by leaders in the field, the IT track will highlight cutting-edge technologies and strategies that can take student learning to the next level. In light of K-12 reforms, many education initiatives employ computer technology and software applications promising to increase student productivity, improve instruction and narrow the achievement gap. District and school IT departments also face increasing demands to engage educational technology to support a wide range of educational innovations, including flipped classrooms, peer-to-peer teaching and customized learning. Implementing, maintaining and managing an IT Infrastructure require new systems, evaluation tools, procurement procedures and implementation plans. In response, FETC has expanded its professional development IT offerings to match the growing needs of IT staff nationwide. Insights from the Frontlines: Laying the Foundation for A Successful Technology Culture: Led by Dr. Julie Carter, co-founder and CEO of GreyED Solutions; Lisa deRoy, GreyED’s CLO; and Rob Dickson, executive director of IMS for the Omaha (Neb.) Public Schools, this workshop will dive deep into the processes and protocols needed to shift a district and school culture to support successful technology efforts. Attendees will learn how to harness the power of stakeholder voices, build more tech buy-in and achieve cleaner execution when deploying a technology ecosystem. The Interoperability Lab: Digital Learning Tools Integration Made Easy: Providing a real-life case study of user acceptance testing, Beatriz Arnilas, director of IT and Education Technology for the Houston (Texas) Independent School District, and Susan Haught, the district’s senior project manager, discuss digital resources selection, acquisition and integration processes, and other supporting documentation, while sharing insight on how to manage the ingestion of content onto learning platforms. Attendees are encouraged to bring their own devices to experience the kind of work required to manage digital resources interoperability and integration. Crash Course: 10 Steps for Schools to Take Back Student Data Privacy: Education’s use of technology and data has increased exponentially in recent years, but school privacy and security practices have not kept pace. In this BYOD workshop, SchoolMessenger Solutions and Steve Smith, CTO for Cambridge (Mass.) Public Schools, will provide a comprehensive framework to help school leaders — from CIOs and superintendents to curriculum directors and principals — identify, develop and implement necessary data privacy policies and procedures. In addition to its hands-on, interactive workshops, FETC will include 18 engaging sessions offering subject matter expertise to help IT professionals leverage technology to support their learning environments. These sessions will address the most pressing topics in education technology, including how to address education infrastructure needs, determine the impact of technology investment on student performance, consider next-generation instructional systems, select education technology tools and services, and deliver new IT models for schools. Registration is now open for the 2017 Future of Education Technology Conference. A $150.00 Super Saver discount is currently available. For additional information and to register, visit www.fetc.org or call toll-free 1-800-727-1227.